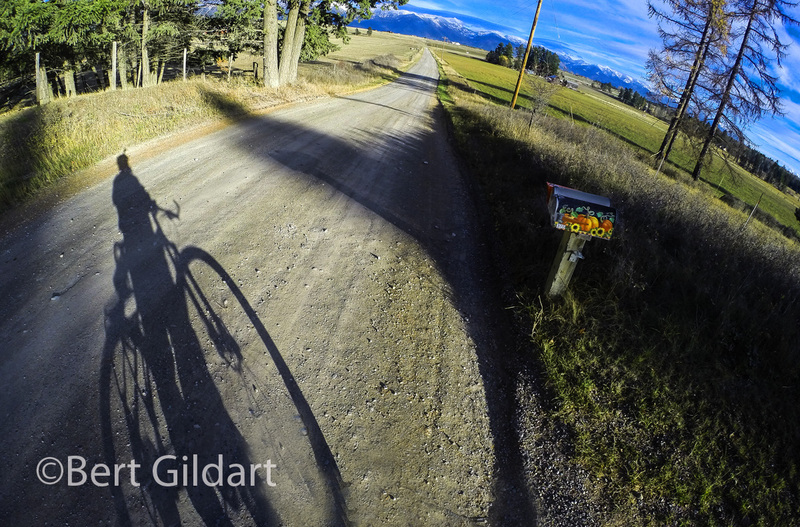 NOT ALWAYS, BUT QUITE OFTEN, I ride my bike to assess the personality of the valley in which I live (near Bigfork, Montana). Sometimes I find that I am disturbed, but, generally, I find that I am cheered by valley beauty and the response of people who are also using my road. I wave at everyone, and most everyone waves back. Their waves, however, are probably more genuine then mine for I wave to remind them that we do share the road and that it would inconvenience them greatly were they to hit me. So far positive experiences out number negative experiences, allowing me to focus on riding techniques and, sometimes, on self-evaluations. average moving speed and other interesting aspects of a route. At times I like to compare the timing of my rides with those of top professionals finding that there is no way I could compete. That really surprises me as I have about 50 years more experience than do most riders I see along the way. The most famous cycling race of course is the Tour de France, and the fastest time (forget drugs, most everyone was on them) was recorded by Lance Armstrong in 1999, whose average speed was 25 mph. That’s a speed I can barely hold for even a few minutes, though several days ago I did manage to reach 32mph during a 27-mile ride. However, I’d be lying by omission if I didn’t admit a stubborn wind was helping me along. in which competing neighbors deal with one another. 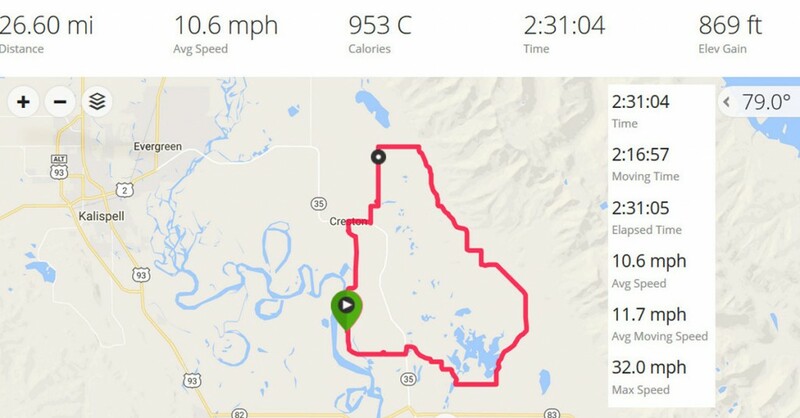 Up until a year or so ago I was able to average 17 mph, but only for about an hour; then I’d slow down and try to maintain an average of 15 mph, which I can sometimes do for several hours. But that’s nothing. In 1986 Peter Penseyres rode 3107 miles and during the eight-plus-day ride, averaged 15.40 mph. And how about the fastest biker ever? It scares me just to think about it but in 2009 Sam Whittingham of British Columbia reached a speed of 82.3-miles per hour. He was riding over a level road and his bike was top of the line, consisting of a carbon fiber frame wrapped with Kevlar bodywork. That irks me as my bike features some of the same components. Guess I’ll just have to try harder, but the fact of the matter is that I’m generally riding to better understand the surroundings in which I live. In other words my times might improve if I didn’t stop so often to take pictures, which I did two days ago, May 5th. Spring flowers, such as the arrow leaf balsamroot, are now informing me that spring is neigh. 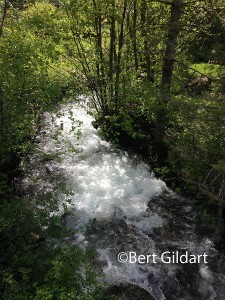 And so are the many small creeks now roaring through age-old gullies. Human habitation also interests me and throughout my ride political signs screamed out that despite our beautiful environment some neighbors must absolutely despise one another. Property owned by politician Rob Quist abuts a neighbor who must glorify Greg Gianforte, Quist’s Republican opponent for The House of Representatives. Spur road that links with my traditional route. Several days ago I rode by these properties and noticed that Quist’s neighbor had mounted an overwhelming sign that glowered over Quist’s driveway. 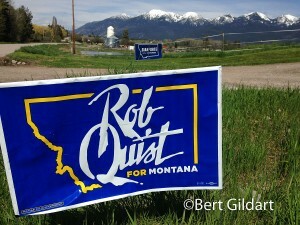 And then just the other day, when I rode by, I realized that Quist’s diminutive sign had been yanked out and probably trashed. 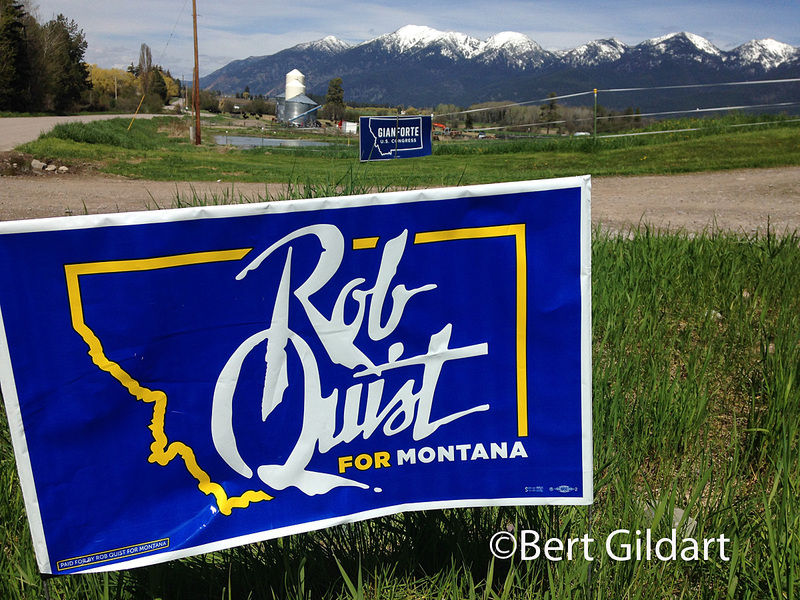 Suddenly I peddled vigorously, determined now to vote for Quist, not because of the bullying, but more because he provides good evidence that he is for the preservation of public lands. 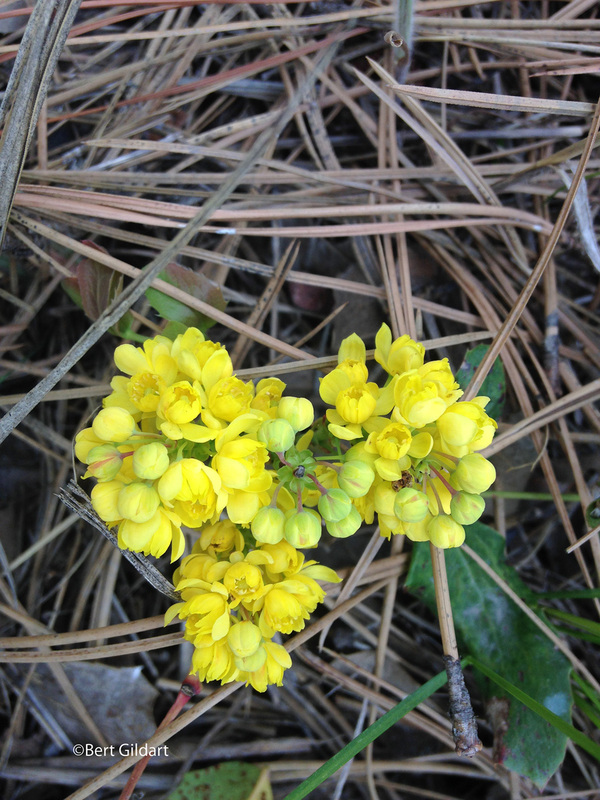 Biking helps me with many observations, often allowing me to feel things I might have missed: messages from signs – but more often the obscure expressions of the beauty provided by nature. 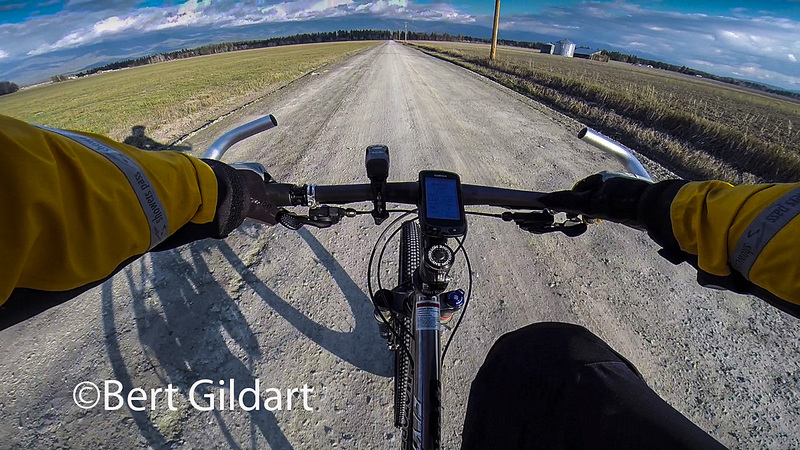 I hope I can bike forever and that some of you can join me – and share your thoughts. This entry was posted on Sunday, May 14th, 2017 at 1:15 pm and is filed under Biking, View Point. You can follow any responses to this entry through the RSS 2.0 feed. You can leave a response, or trackback from your own site.